Dogs and children just go together. Dogs can be wonderful teachers, friends, and playmates to children, teaching them respect, responsibility, patience, and much more. If you don’t have a dog, you might consider adopting one because of your children. As a child best friend, they seem to share a special bond with young children. Almost like they will do just about anything for a child. This makes theses furry-friends the best babysitters in the world! In fact, did you know dogs, of all animals, were known for centuries as the "Nanny dog" and were often responsible for babysitting the family’s children? 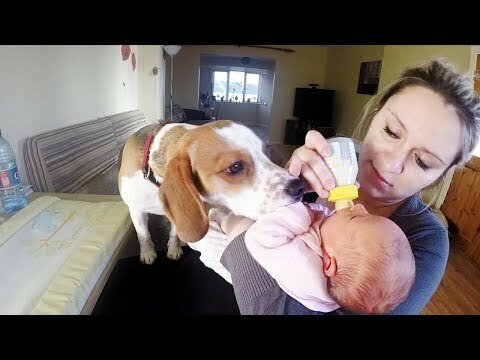 If you are not really convinced of this incredible fact, here is a video proof that dogs are the world’s best babysitters, so the next time you want to go out and cannot find a reliable nanny, remember there are hundreds of them waiting for you that in the local shelter. DoglopedixDogs and children just go together. Dogs can be wonderful teachers, friends, and playmates to children, teaching them respect, responsibility, patience, and much more. If you don’t have a dog, you might consider adopting one because of your children.